I wanted to let you all know that because I printed out so many $20 Gift Certificates in anticipation of getting a flood of CSA sign-ups prior to Thanksgiving, and in hindsight realizing that my predictions were a bit over-zealous, I have decided to extend the promotion until the end of the year! That’s right, if you sign up for the Street Fare Farm CSA by December 31st, you will receive a $20 Gift Certificate redeemable at my booth at the Piedmont Farmer’s Market on Winecoff School Rd. at any time! We’re in the holiday season, so maybe this gift certificate could be a good gift for that person in your life who might need to start eating more vegetables, or perhaps they’re just a farmer’s market junkie, but whatever the case, this gift certificate could be a great stocking stuffer! Click here for more info and to sign up! I hope to see you at the market tomorrow! I’ll be there from 9am til noon with microgreens and eggs! It might be a little on the rainy side, but definitely a bit warmer than it has been. Come out and say hello! I hope you all have a great weekend, and a tremendous week. Thank you for your continued support! While the rains fell this week, I still was able to get some good stuff started and completed. Yesterday, I placed my seed order for next season, and I was able to transfer the data from my production plan into a Google Calendar so that I have a very raw game plan for every week of the growing season. 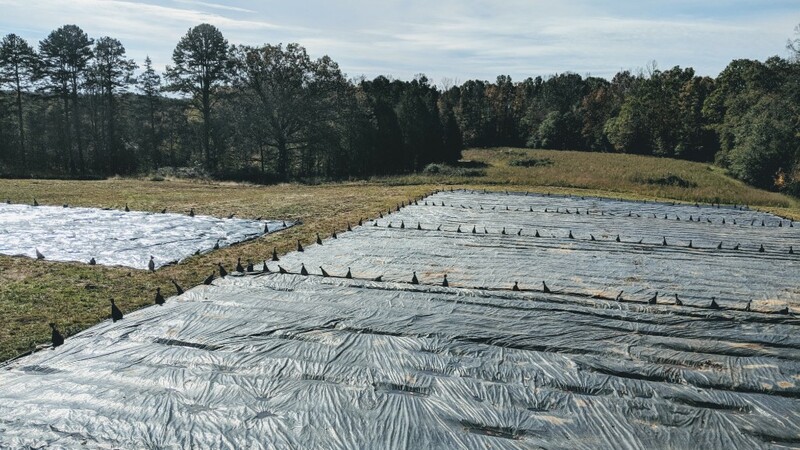 My new irrigation system was delivered, and now that the skies have cleared and the sun has come out, my next tasks are to run power to the well that will be delivering the water to my fields and to get my walk-in cooler assembled and operational. Beyond that, compost still needs to be spread atop the beds that are currently under tarps, fertilizer and amendments need to be ordered, and I need to acquire another caterpillar tunnel! The deer fence needs to be installed, and the irrigation system set up. Things are moving along well, but there’s still a lot to be done before the first crops go in the ground mid-February! I’m so excited. You should be, too! Y’all, there’s still time to sign up for the 2019 Street Fare Farm CSA before Thanksgiving and receive a $20 gift certificate redeemable at any time at my booth at the Piedmont Farmer’s Market on Winecoff School Rd.! 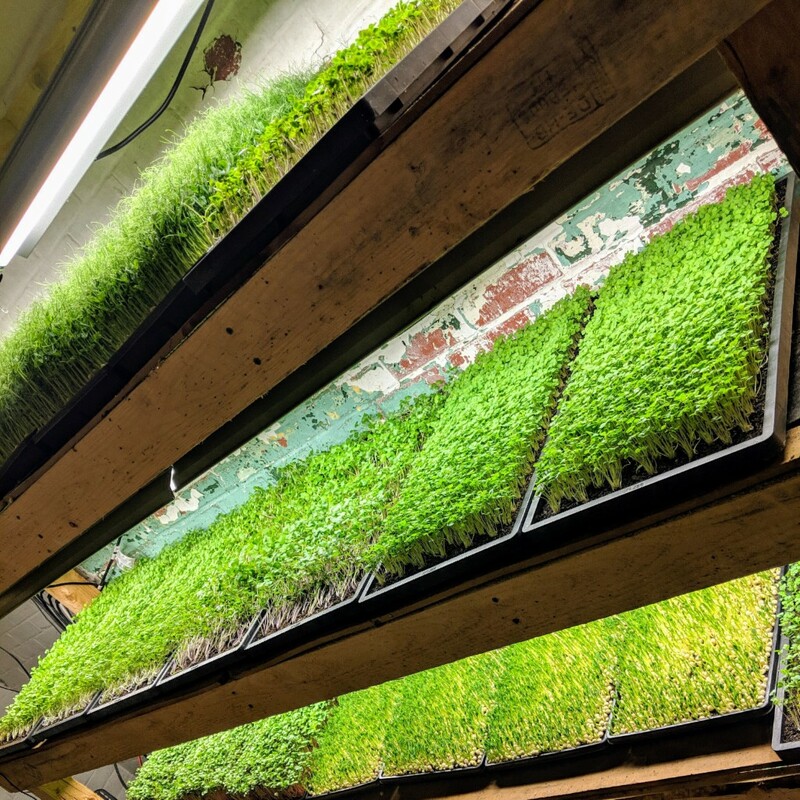 You can use that gift certificate to stay in eggs and microgreens throughout the winter, or hold onto it until something more to your liking comes into season! Like to can tomatoes or pickle cucumbers? Save the gift certificate until summer! My goal with the CSA is to develop a community of conscientious eaters that value the benefits of fresh, local produce and help foster some of that mindset of stewardship that I was ranting about above. Click here for full details and the form to sign up! I hope to see you at the farmer’s market tomorrow! 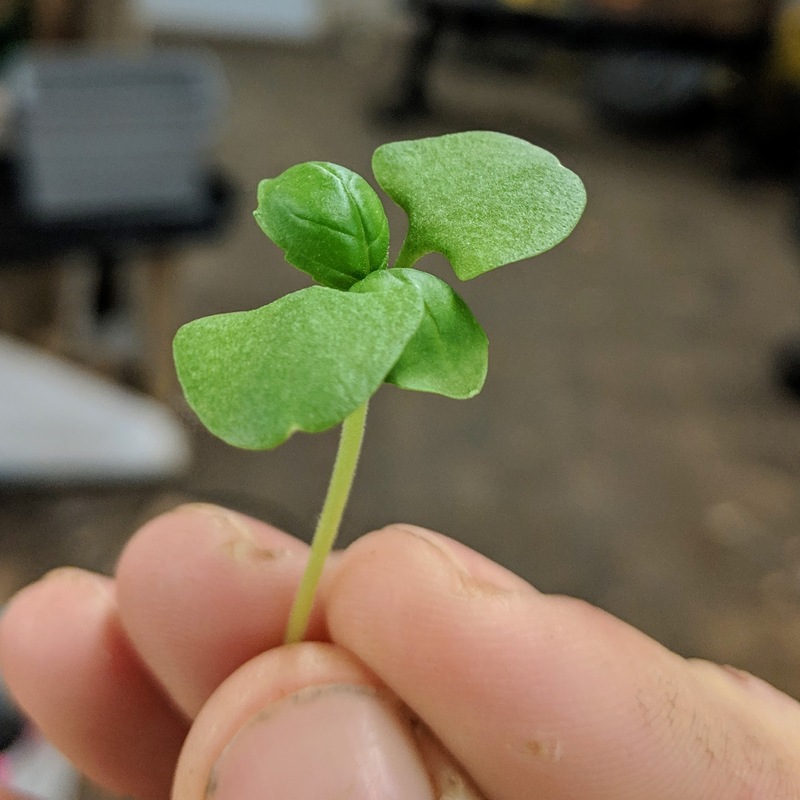 In addition to the usual selection of microgreens, I’ll be introducing another new product I’ve been developing, Basil Shoots! Use it just like you would use any basil and add a bit of summer flavor to your autumn meals! 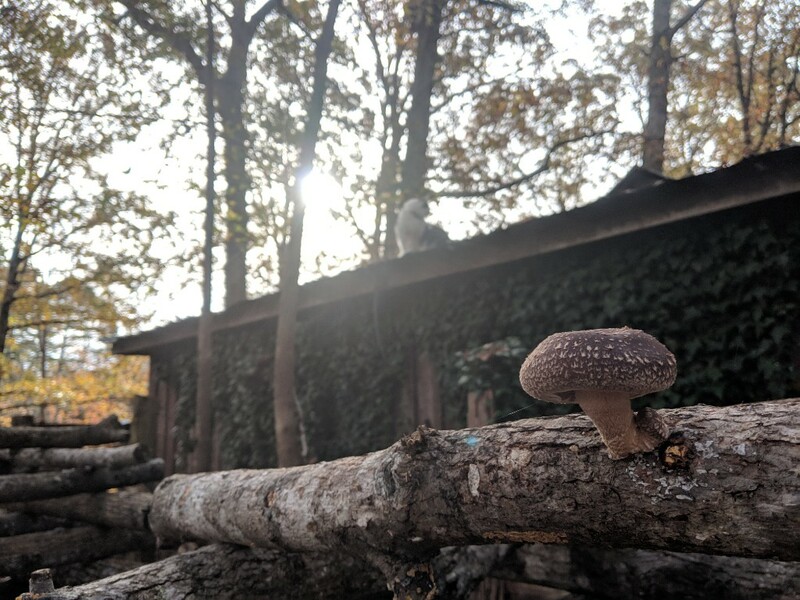 The mushrooms have decided to quit producing for this weeks market, but we’ll see if we get anymore with a little sunshine in the forecast. And, of course, I’ll have some fresh, free-roaming, non-GMO eggs! I recently took down the fencing on the run I had my chickens in to give it a bit of a break, and the girls have been spreading out and eating lots of different bugs and plants and their yolks are looking more golden than ever. Come get you some! I hope you all have a wonderful weekend, and a most excellent week ahead. As we come to a time of Thanksgiving, it’s my prayer and hope that you all remain safe, and truly embody an attitude of gratitude for the life that we have and the experience upon this beautiful planet that we’ve been given by the grace of God. All you need is love! That’s right, I made it! It was touch and go, and I’m sure there are some out there whose expectations I have defied, but my thirty year trek has been completed! How do I feel? Excellent. What will I do next? Well, the only thing I can do, keep trekkin’! I want to thank all of you who gave me some birthday love on Wednesday, and for those who didn’t, all I can say is I KNOW WHO YOU ARE! Just playin! It’s been a busy week for sure! The midterm elections are over, and though it wasn’t the “blue wave” many were hoping for, I’m hoping with the Democrats taking the House, the folks on Capitol Hill will be forced to put aside some of these extreme partisan ideologies and reach across the aisle to do what they get paid so well to do: work together towards the common good of the American people and global community regardless of party, creed or color. Say a prayer for your representatives, that they may have the strength and the courage to do what is right and that they might not succumb to the temptation of greed, avarice, pride, or the pursuit of selfish gain, and that God may continue to bless America! Here on the farm, it’s been especially busy. I’ve been running all over the state gathering supplies for next season, pulling tarps, cutting wood, building things, installing lights in the post-harvest area, planting, harvesting, and slinging microgreens, cashing checks and snapping necks! I want to give a special shoutout to my buddy Chris, an accomplished electrician who has been so selflessly helpful in working on all these projects, I couldn’t do it without you, homey! I’m really running on all cylinders right now, just trying to get all these projects knocked out as fast as I can so that I can, for one thing, get them off my mind, and for another, so I can have everything in place that I may work out as many kinks and inefficiencies as I can before the first crops go in the ground next February! That’s only three months away… yeesh! My new irrigation system was delivered yesterday, so that’s exciting. To me. Next week I’m hoping to get power to the well and start piecing together the new system, as well as make some headway getting my walk-in cooler set up. Soon there will be a farm field day here at Street Fare Farm where I will invite all of you to come help spread compost over all the growing beds so that the compost has a chance to intermingle with and embellish the topsoil and have a chance to break down a little bit before the crops go in the ground. Stay tuned for more info! The accomplishment I’m most excited about from this past week is that I finally released the info for next springs CSA program! I know you all already got an e-mail or two about the CSA, but forgive me when I shamelessly promote the program until next season gets underway. Why should you join the Street Fare Farm CSA? You will be getting the freshest produce every week that will be far superior in quality and nutritional value than anything you can get in the grocery store, you will help me continue on this farming journey, you will help to fundamentally shift our flawed food system by voting with your dollars for local, sustainable produce, and it is my hope that you will have the opportunity to learn more about what goes into making this staple of life that is the food we consume for energy, and in doing so you will gain a better appreciation and attribute a higher value on what you put in your mouth! AND, if you sign up before Thanksgiving, you will receive a $20 gift certificate redeemable at my booth at the Piedmont Farmer’s Market on Winecoff School Rd. at any time! Click here for full details and the sign-up form! Speaking of the Farmer’s Market, do come see me tomorrow from 9am til noon! 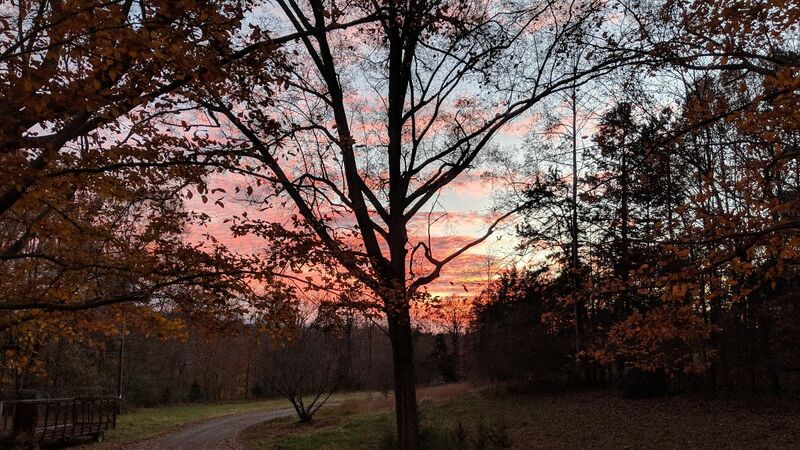 It’s going to be a crisp, clear autumn morning, and I’ll be there with microgreens, shiitake mushrooms and eggs! The micro mix I introduced last week sold out pretty quick, so I’ve doubled the quantity for this week. Also, let me tell you, though I would prefer a bit more sunshine, the mushrooms are loving all this rain. Come see me! I hope you all have a terrific weekend! In this current climate of extreme partisanship and polarizing ideology, please remember that when faced with a choice to be right or to be kind, always choose to be kind. Be well! Well folks, I’m hitting a milestone this coming week. On Wednesday, I’ll have traveled around this big beautiful, life-giving sun of ours thirty times. Let me tell you, I’m kind of excited. I’m excited to be taken more seriously for one thing, cuz nobody really takes anything a twenty-something has to offer without a grain of salt. What I’m really excited about, though, which is not really related to the age I’m turning whatsoever, is that things are coming along at the home site. I cleared out the rest of my tools and odds and ends from the Lomax Farm this past week, and it feels as though a huge weight has been lifted from my shoulders. Don’t get me wrong, I love Lomax and all the connections and friendships I’ve been able to forge throughout my tenure there. 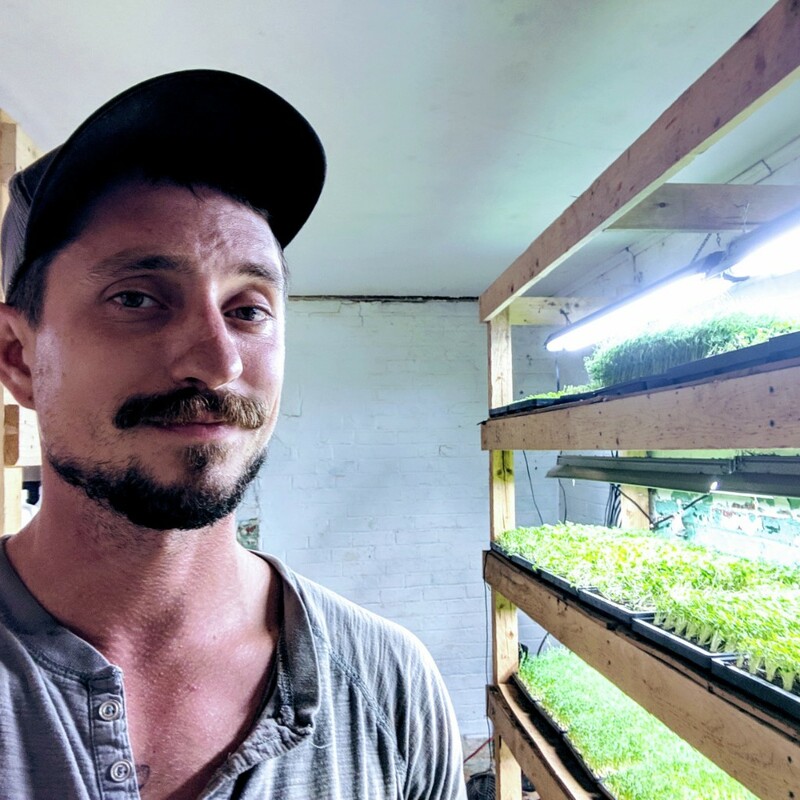 I often tell people that one of the biggest reasons why I feel like this path I’m on is the one I’m meant to be on is that when I had the hair-brained epiphany that I’d like to try my hand at farming that one fateful night almost six years ago, the fact that the Lomax Farm and it’s program to help aspiring growers get their business up and running without having to assume all the capital risks that are inherent in any startup, that are especially risky and capital intensive for a farming enterprise, was located just outside the city I had moved to only a couple years before feels to me to be of a nature of providence more so than serendipity. I’m extremely grateful for the staff and the fellow farmers-in-training and the community of farmers and the greater supporting community surrounding the Lomax Farm, without your help I would not be where I am today. If you aren’t familiar with the Lomax Farm, please check them out at this link, and if you care to support other aspiring agripreneurs, please consider joining the Carolina Farm Stewardship Association who manages the Lomax Farm, or consider giving a donation so that they can keep doing the work their doing to change the world by changing our flawed food system. Thank you! 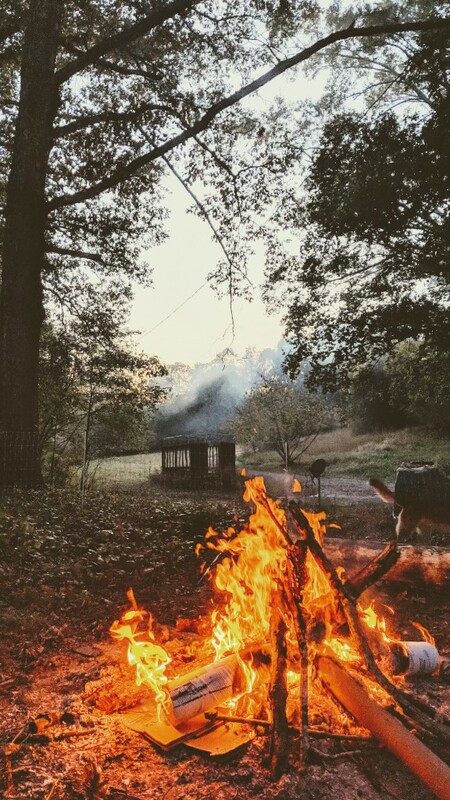 There’s just something about waking up and being able to get right to work, to be able to walk into the house and make a little lunch, and to be able to call it quits, crack a beer, and start a fire to wrap up the day in the most idyllic of fashions. I am beginning to appreciate the beauty of this place where I live in a way that I haven’t though I’ve lived here for almost three years now. 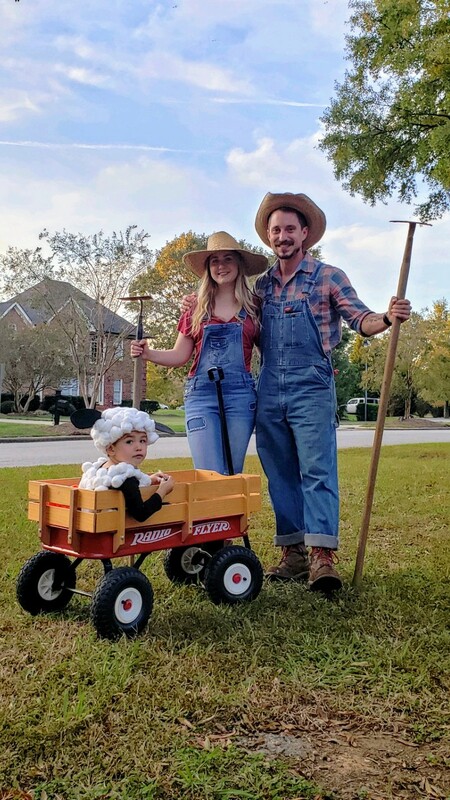 I was driving down to Fort Mill during rush hour on Halloween to go trick-or-treating with my lovely girlfriend Sky and her son, Elijah (clever costume, eh?! ), and that experience reminded me of how excited I am to no longer have to commute to get to work, something I’ve dreamed of since leaving my former 9-5 and the daily battle at rush hour! I’m excited to decrease my monthly gasoline budget, and to not have to worry about planning my schedule so diligently to try to balance my home-life and my work-life, for now they will be that much more intertwined. I realize I’ll still have to do those things, and it’s probably not going to be as utopian as it is in my mind right now, but just let me revel in this dream for a bit longer! I’ve been going full bore getting some projects done and giving the place a long-overdue tidying up, as well as getting the working-areas here at home properly set up. My post-harvest area is now set up to wash greens with my greens-bubbler, my wash-machine-converted-salad-spinner, and my greens drying screen! Next step is to get the walk-in cooler set up so I can keep all these freshly washed greens chilled. Also on the docket is building a 10ft long root-washing and drying table. Stay tuned as well for news on spreading compost on my beds for next season, cuz I’ll need some help! I hope to see you guys at the Piedmont Farmer’s Market on Winecoff School Rd. tomorrow from 9am til noon! I’ve got a new produce I’m excited to introduce: Micro Salad Mix! This is a bagged mix of pea shoots, radish shoots, arugula shoots, broccoli shoots, kale shoots, cabbage shoots and kohlrabi shoots that is great as a salad or a topper on your sandwich, in a wrap, or on your soup! It is soup season, donchaknow! We’ll also have shiitake mushrooms, pea shoots, radish shoots, sunflower shoots, woodlot-raised, free-roaming non-GMO eggs and Rowland’s Row butternut squash. Come see me! It feels really good to be writing these newsletters again. I hope you all have a wonderful weekend and a fantastic week, and let yourself celebrate a little bit on my behalf!